I always love getting texts from friends, especially when they are suggesting that we meet up during the Summer Holidays. 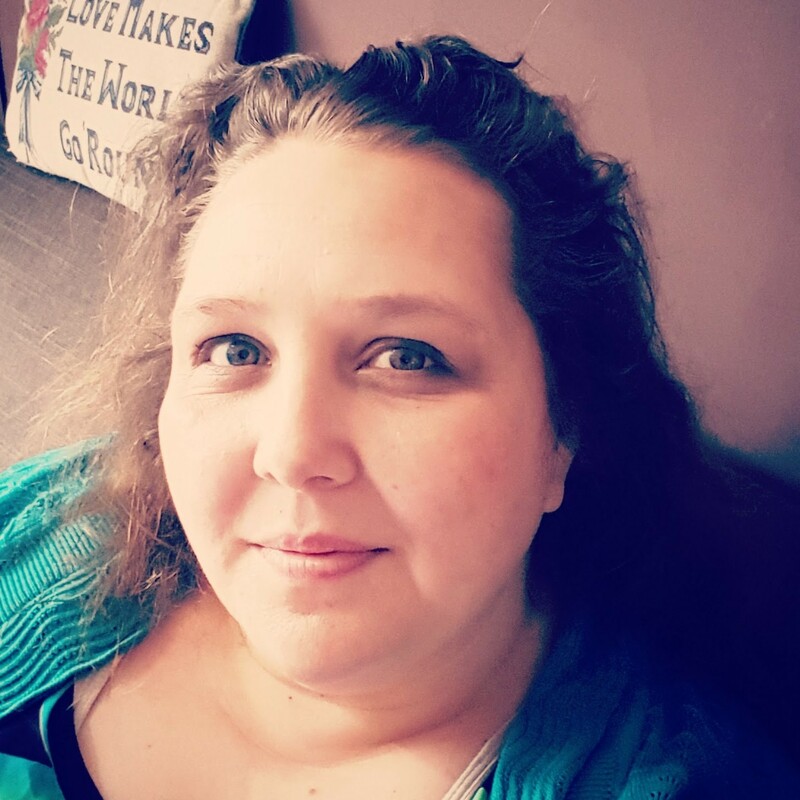 I got two texts last week, from two of my social circles suggesting meeting up with our various children for a bit of Summer Holiday fun and the first meet up was last week. We agreed to meet up at Thrift Farm, which is really a rural training centre for adults with learning difficulties, and is well thought of in the community as being a brilliant place to go for a couple of hours at a reasonable price, it's also a brilliant place to go if you want some nicely priced free range eggs! We petted Guinea Pigs and Rabbits, we fed Chickens and Goats, we stroked Donkeys and Sheep, we looked at a baby cow and it's Mum, marvelled over the size of the pigs and tried to count Baby Ducks and Baby Chicks who didn't help by sitting still and instead jumped over each other and probably got counted more than once. Either that or there really were 137 baby chicks in one of the coops. The best animal by far was the Mexican Wrestling Mask Wearing Sheep though. The prices have stayed the same for a while, it's £3 per adult and £1.50 per child and 30p for a bag of feed. 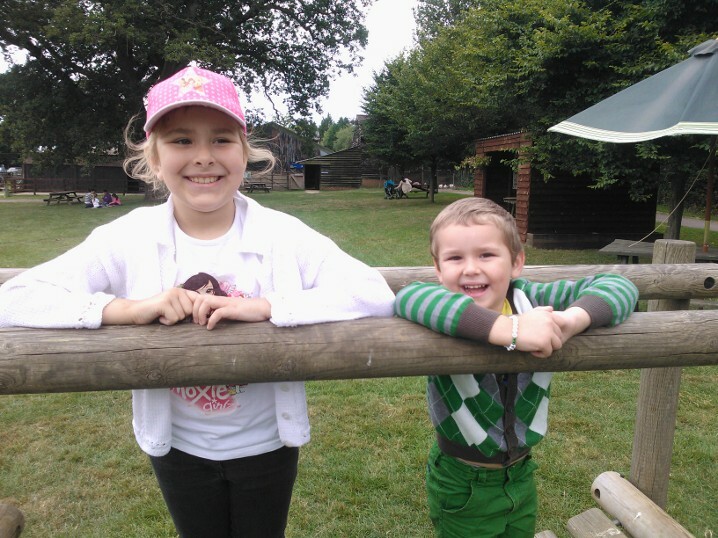 If like us you take a picnic and go on a sunny day you can spend a couple of hours petting the animals, feeding various animals and feeding your own little animals with the picnic, but of course there is a great on site cafe if you don't feel like taking a picnic. We ended up hanging out at the farm for four hours with our friends and it was GREAT. We had chatted, we had eaten lunch, we had let our children play together and of course we got to feed animals which is always a bonus. 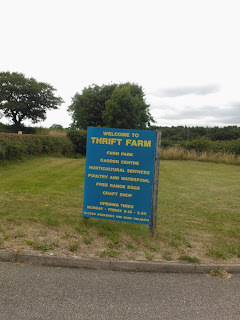 If anyone else is in the Milton Keynes area and fancies going to Thrift Farm, then let us know and we'll come and join you... if you want us to of course!